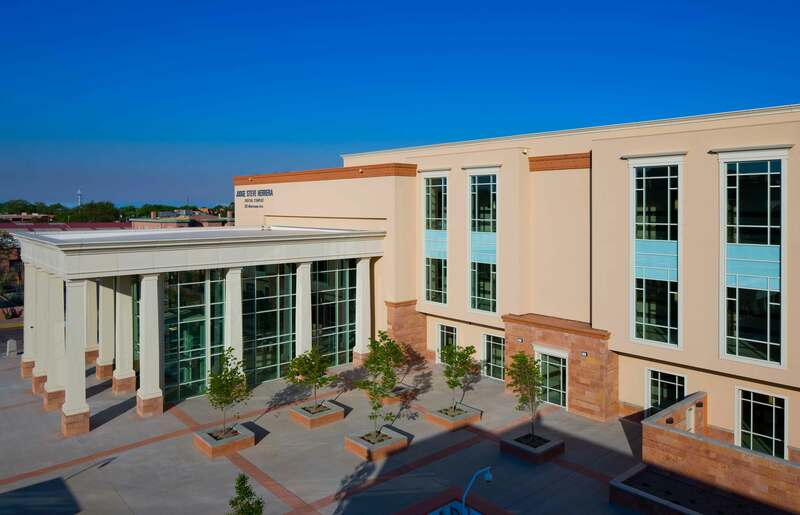 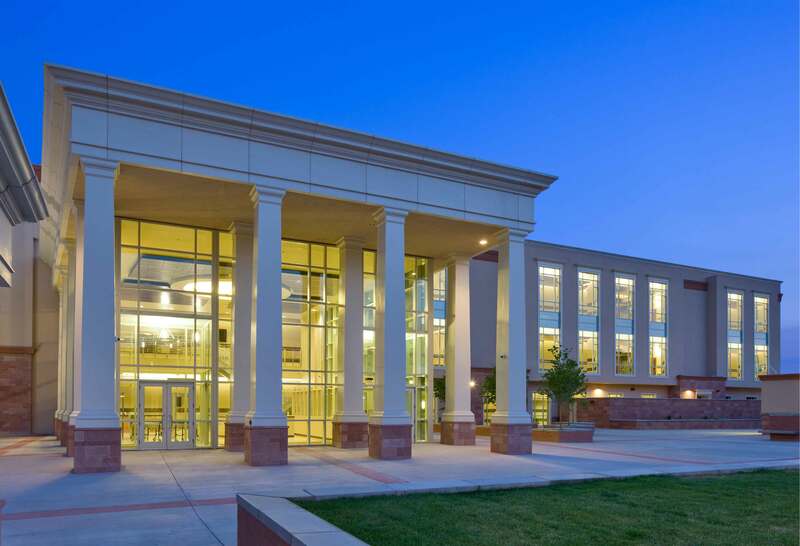 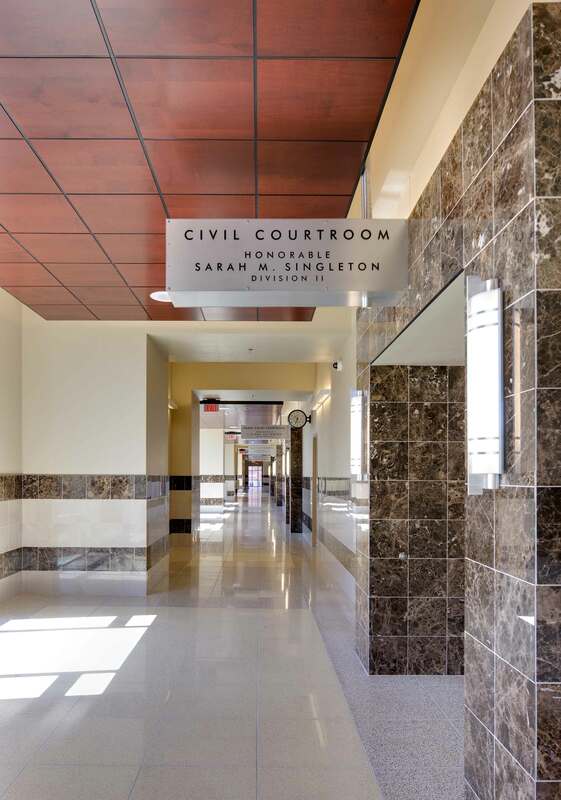 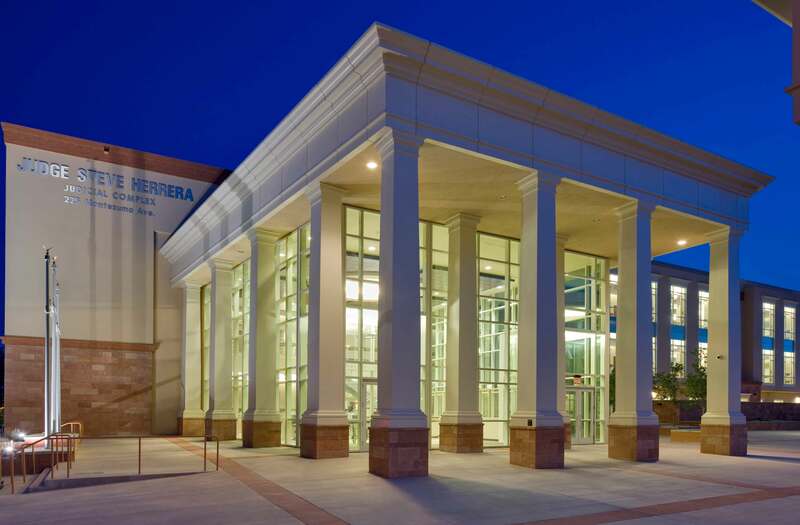 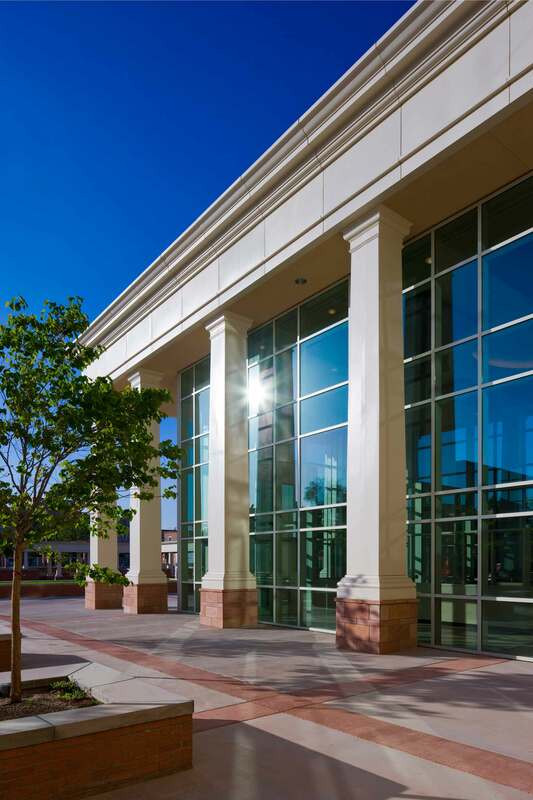 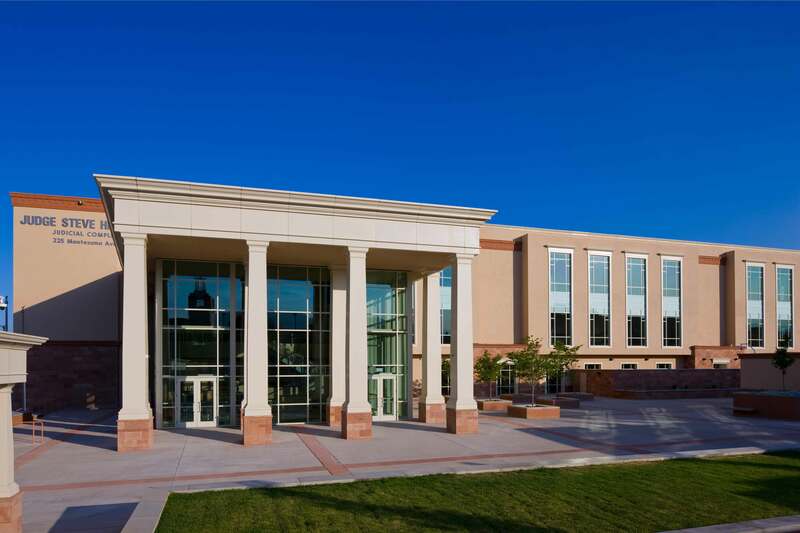 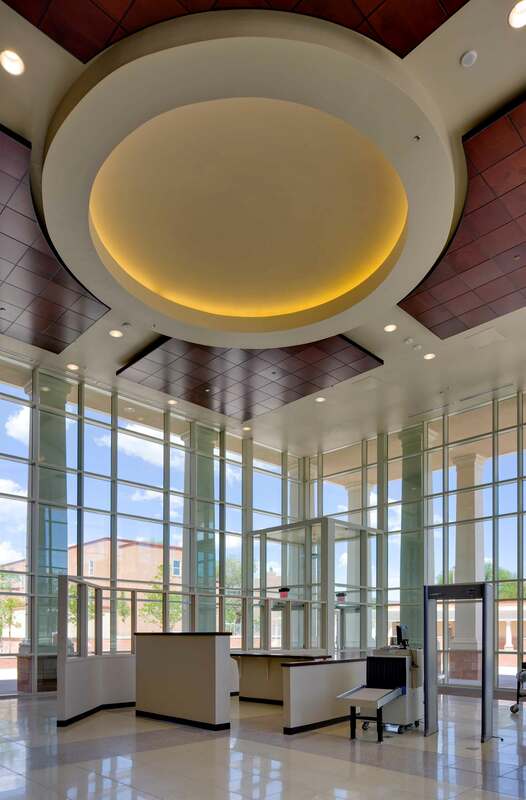 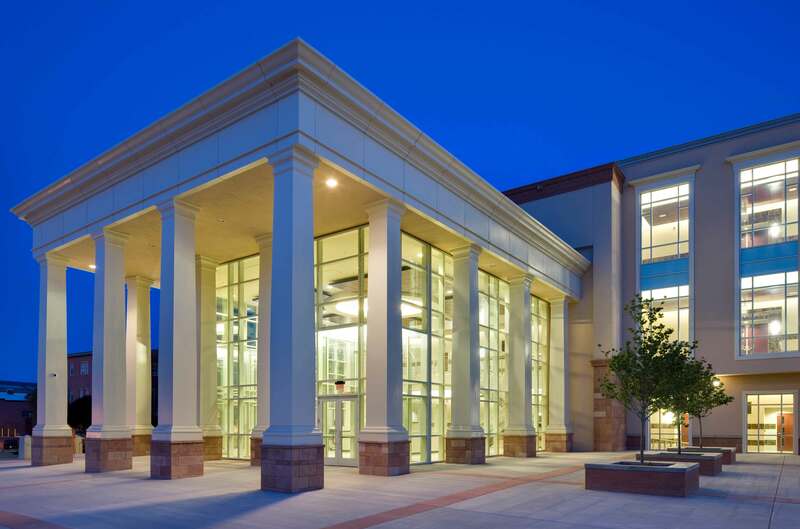 NCA Architects provided needs assessment, programming, and full design services for the First Judicial District Court. 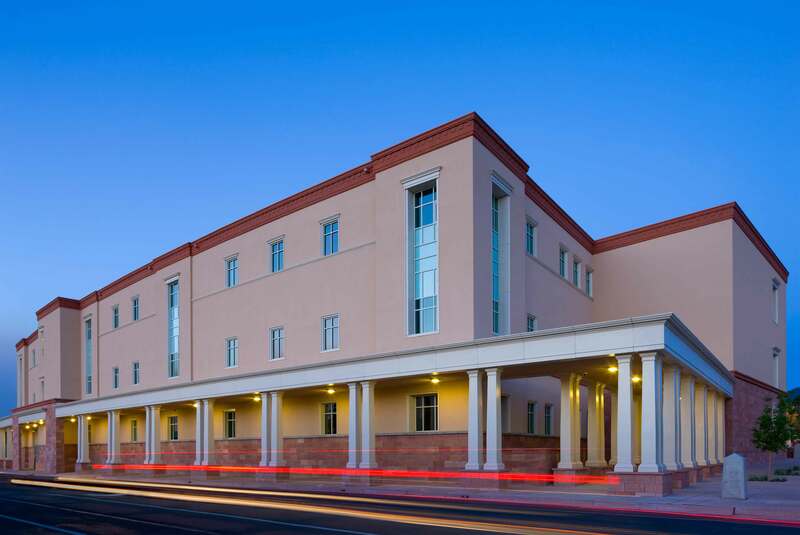 The Steve Herrera Complex provides spatial provisions for three counties’ judicial function; Santa Fe County, Rio Arriba County, and Los Alamos County. 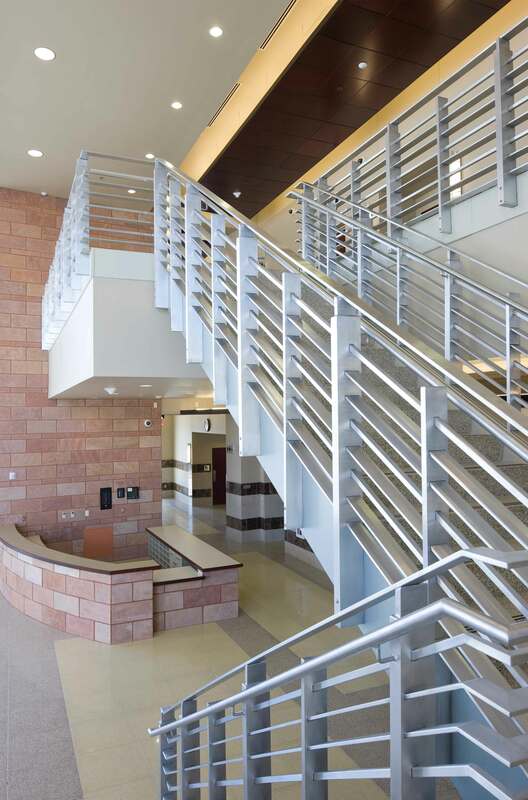 These courts have the task of processing and hearing civil, criminal, and family cases for adults and juveniles. 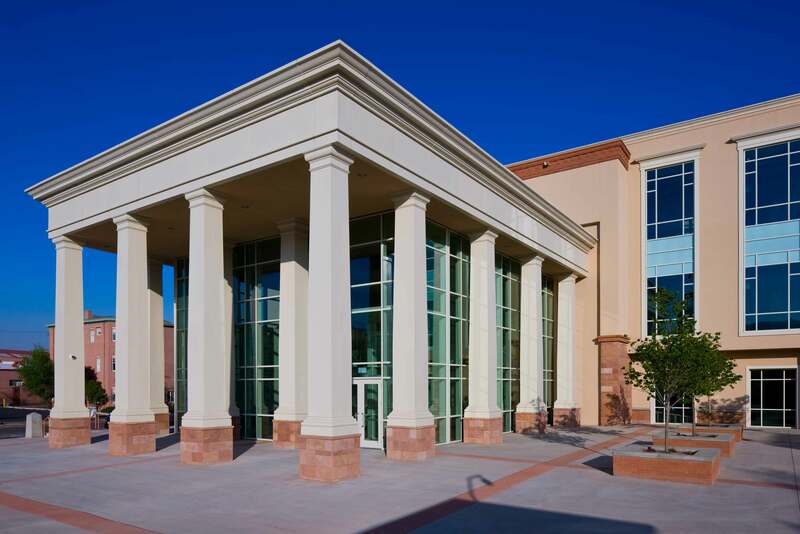 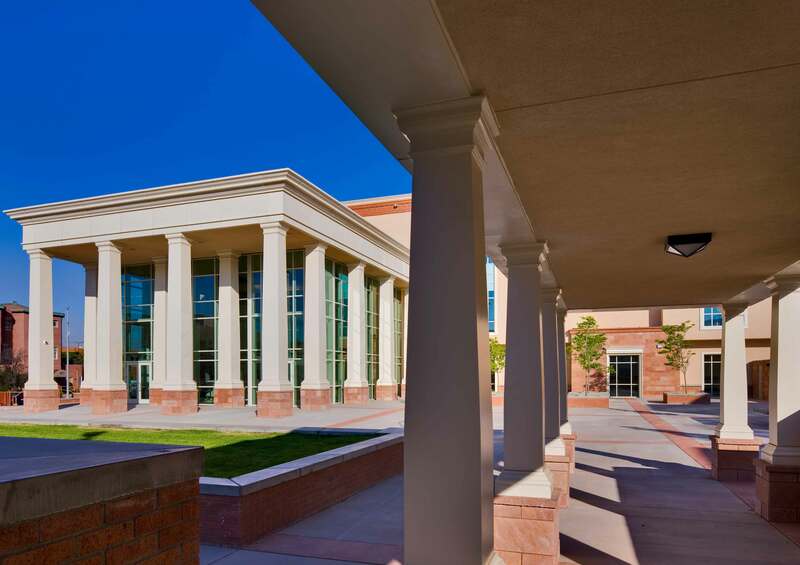 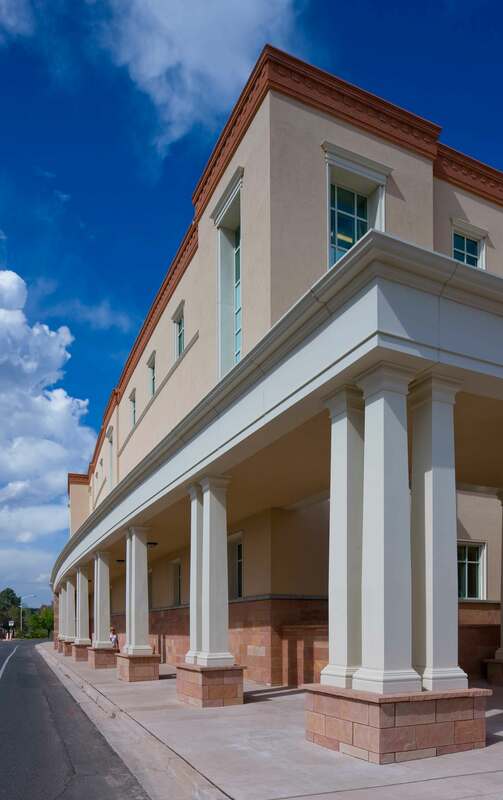 Through careful planning and department interviews, NCA developed a design that meets the needs of the courts while adhering to the county’s tight budget and aesthetics. 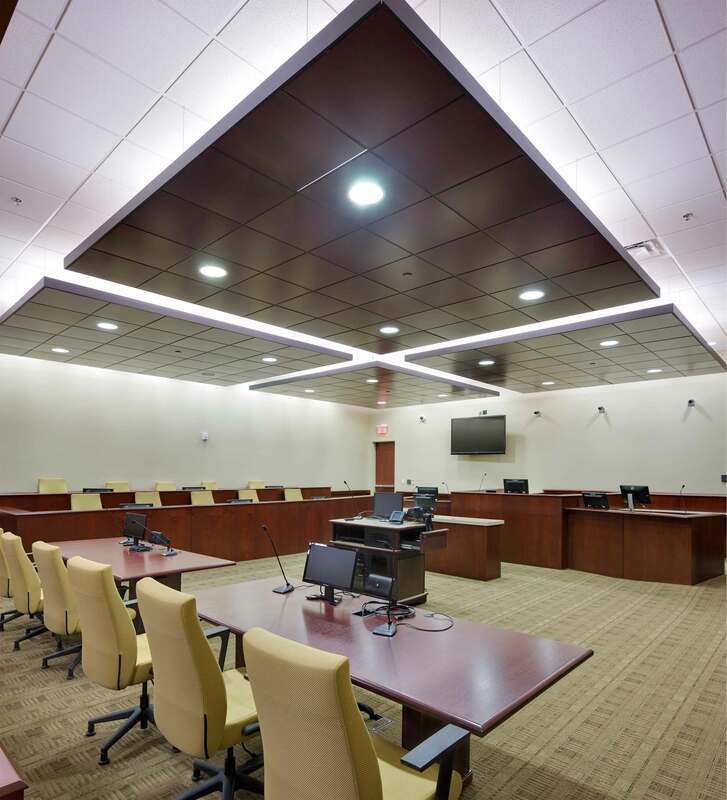 The program includes administrative support spaces, court and hearing rooms, jury services, court holding and security, family court, drug and treatment courts, teen court, victim advocacy, and space for all ancillary functions.